Judaism Is Not A “Religion” But A “Club” Promoting Racial Self-Worship. It is paramount to know that Judaism includes all Jews whether they are religious or not. Gentiles who convert to Judaism are considered 2nd class citizens. For as far as Jews are concerned (wrongly) Christianity is for the Gentiles. And Jews do not want to belong to that club. 1) JUDAISM TEACHES that Jews are a victimized people. Thus Jews are taught: “We must get them before they get us.” This is the driving force behind The War on Terror, The War in Iraq, & the impending War on Iran. 2) JUDAISM TEACHES that Jews & Gentiles cannot coexist. Jews are taught: “We must control them before they control us.” This is the driving force behind the Jewish Lobby & the Jewish control of the mainstream media. 3) JUDAISM TEACHES that Jews are superior to the Gentiles. Jews are taught: “We can step on the Gentiles.” This is the driving force behind millions of Gentiles being stepped on by Jews. You perhaps? — “Every Jewish leader, organization, community, and individual has a duty to ensure the continuity of the Jewish people. But when the survival of the Jewish people conflicts with morals is existence possible? When the requirements of existence conflicts with morals, realpolitik should be given priority leaving limited room for ethical considerations. Physical existence must come first. No matter how moral we aspire to be - physical existence must take precedent” — Here. And so we see the essence of Judaism: “Jewish physical existence takes precedence over ethical considerations.” Now what are we going to do about a Judaism whose adherents want to get us, control us, & step on us? I Recommend That Judaism Be Usurped By Christianity! And That’s What Jesus Christ Taught! Keep up the great work. You are making great waves out there. Thank you my dear brother in Christ Jesus. Let us continue to look for ways that you & I can work together to stop the Jewish cabal here in America & make our land a Christian nation once again that eschews the Zionist agenda. You sure to right excellent articles, with wisdom beyond that of 10 normal human beings. I am sure God is smiling when he sees your work for His kingdom. May God always bless you and keep you safe in His arms. Spelling errors.. in previous post..
My thinking concerning the reality in which we live where Jews, for evil, control every aspect of the society in which we live and wherein every piece of it is contrived, convoluted, twisted and denatured has been helped a great deal by the capacity of the accessibility of the internet as an effective means to the ends of our freedom of speech. Can you tell me exactly what Jews believe about sin, heaven and hell and life after death? I have been alive now for more than 50 years, have had Jewish friends who describe it as a religion, but no one has ever been able to tell me what Jews believe. Can you expound on this? I say we should support orthodox christian dominaions like Brother Nathanaels (Greek orthodox I think) Russian and Serb Orthodox or whats left of Serb orthodox church after the Rothschild/Soros/Holbrooke muslim terror assault massacre on Serb christian population and burning of 700+ traditional Serb orthodox churches in Kosovo. Springboarding from some of Ian’s thoughts about the “effect” on our culture . . . I have begun to wonder just what kind of country we would now have IF Christianity had been allowed to flourish, instead of being stifled. For example, school children NOT being allowed to bring bibles to school, or crucifixes. Now, they cannot even speak the holy Name of Jesus, or given reference and credit to him in their graduation speeches — as the young validictorian tried to do recently at a public high school. She was a straight “A” student, and her speech to her class was “edited” by the school staff for mentioning the “name” of Jesus Christ. These are not exceptional incidents. They have become the norm. How many children have we DENIED the opportunity to KNOW Jesus, because Liberals were allowed to prevail their “judicial opinions” upon us — instead of we reversing those “opinions” with copies of our written Constitution in our defiant hands? How long will we let judicial activism usurp our Constitutional rights to FREELY practice our Christianity? The most insidious thing for the present generation of young adults and families is that they more than likely see it as normal. Being denied your right to speak the Name of Jesus in the public forum and form public schools based on Christian principles — has become the accepted norm. WE, the baby boomers, should not think about retiring comfortably into our later years — instead we should work hard, until our dying breath, to TEACH our Children and grandchildren By EXAMPLE, just exactly what a Christian nation looks like. We have only to read what the Founding Fathers wrote (setting aside their freemasonry) and embrace this country with the Full religious Freedom that it was meant to deliver. ALL judicial opinions that do not fall into line with the Constitutional vision of the founding fathers are a LIE, and should not be forced to be “reconsidered” BEFORE those very erroneous rulings and opinions deny you all Rights under the Constitution. … more precisely, it’s not a club, but a satanic cult. The Bible talks about that very clearly, as well as their short-lived world government and their utter destruction by God Himself. your perspective is inverted in respect of truth and reality. i pity you. your jewish soul is sinning against your people and your G-d.
My truth is “facts” verifiable “facts.” My “reality” is what I observe all around me which can be confirmed by many others. I have a “jewish soul?” This sounds rascist to me? Is there such a thing? Is there a “Gentile soul” that is different from a “Jewish soul?” We all come from Adam who DID NOT have a “Jewish soul” but a “God-breathed” soul. But you do not know the Holy Scriptures. You say I am sinning against my people. First of all, “my people” are Christians and my brothers and sisters all all mankind regardless of race. Your truth and reality is inverted in respect of the God Who does most truly exist, who does most truly reign, whose eternal nature and Godhead is the law governing the reality of the universe. It is your narrow, racialist truth, Pinchas, is at variance with what actually exists and the moral law that truly is. Our Lord Jesus Christ, Yeshuah H’Moshiach is your Moshiach, Pinchas. And he is come that you might have life in Him. In Christ, there is no reality of racial supremacism, no people who are a people of entitlement in regard to sin, no g-d but the God - One as to Divinity and Three as to Persons who share the One Divinity, One eternity, One self-existance and by Whom all else was created, redeemed and will be sanctified. In Christ, there is no reality of g-ds of racial supremacism and entitled people who are their own g-d and their own messiah. There is no reality of their entitlement to their own world. This is a vain delusion. Yeshuah who is both Lord and Christ must reign until all counter realities that are mere fabrications and assertions of opposed wills are under his feet. The last enemy being death itself. 1 Cor 15:25. Your people, and I assume that you are of Caucasian race of Central Europe, have many saints and shining names among them. Israel of the Law, the Prophets and the Covenants numbers many among those who bore witness to the Advent of the Redeemer, Christ our Lord who laid down the Prophets as founding stones of his Church. You have a great inheritance in Christ if you will turn to him. Renounce sin and this age of the world that is perishing in its sin. Renounce Satan and all his works and pomps. Renounce this Judaist belief in an entitled people who is its own g-d and its own messiah entitled to no less than the entire world and all other souls as slaves and cattle. Set the eyes of your soul, Pinchas, upon the great vision of New Heaven and New Earth in Christ where righteousness reigns. Be baptised in the name of the Father, Son and Holy Spirit. I am curious. There are religious, God-loving Jewish people are there not? As a Hare Krishna, I see parallels between today’s Jewish culture and that of the ‘caste brahmanas’ of India, whose standards have lowered to the extent of nowadays assuming that closeness to God and all that that entails is hereditary. This is simply ignorance. Anyone close to God in fact, sees ALL living entities as parts & parcels of the Lord, each and every one a miraculous testament to the Lord’s glory. On another point, many Christians these days get on a hobbyhorse about his or that and neglect the very point of their God-given religion, which is the development of pure love for God. However, in your attempts to distinguish truth from reality for the benefit of all with regards to modern Judaism, you do not lose that focus, and so surely your messages and mission is blessed by God almighty. We who are Orthodox Christians have a Creed which underlies our quest to love God. It is called the Nicene Creed. For one to love God one must know Who God is. Jesus Christ prayed, “That they may know Thee the Only TRUE God and Jesus Christ Whom Thou hast sent. We have the Holy Scriptures which reveal Who God is. He is God in 3 Persons. The 2nd Person of the Triune God is the Lord Jesus Christ Who became man to die for our sins and rise again from the dead for our following Him in the resurrection. Those who have trusted in Him, unto eternal life. They are all superstitious, mind controlled cults, some worshipping humans, some mythical deities, all built on a history of lies, theft, and murder. So why bother to ask what are the beliefs of this cult or that, re incarnation. They dont have a clue, and if they did, they wouldnt tell you, as that would shatter their little make- believe so-called religion.. 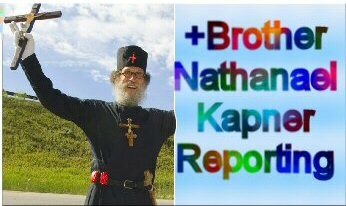 I really do not understand Jews who condemn Brother Nathanael for what he is doing on this website. To many Christians, we see him acting very much in the fashion as Jeremiah and Ezekiel. They were prophets sent by God to WARN the people that they were sinning, that they needed to stop breaking God’s commandments, and thereby save themselves. Even though God sent prophet after prophet to preach to His beloved people as an Act of Mercy — still the people stoned the prophets and grumbled against God. . . many times to their own later destruction. God sends prophets to His people because He loves them and He hopes to SAVE them from THEMSELVES. God has not changed. His commandments have not changed. Sending His people prophets to warn them of impending disaster IF their hearts do not change, continues. And STILL, stoning the prophets God sends . . . has not changed. Brother Nathanael is absolutely Right, Jesus Christ is the one and only God and that cannot be taken away because Jesus will never let that happen, he never did, he never will. One might ask, how can I make such a broad statement. I will try to give one small example with out going into great detail. I was in my middle thirties when Jesus stopped me from doing something very bad that would have affected me all my life, I will always believe that. Before that time I was an atheist I didn’t believe in anything except hard work, survival and most defiantly pay back. Jesus works in mysterious ways far to puzzling for me to explain. I have to make a very long story short. It was a very cold evening when I walked into that small, very plain Church of Jesus Christ, that I passed countless times before and never noticed. I felt unconvertible, and was about to leave when a holy man touched me on the shoulder and ask me to set down, he had his finger in his Bible. Iâ€™m sorry I made a mistake in spelling. itâ€™s late and Iâ€™m getting tired. The replies I have seen by both the admin of this site, and the Christian contributors, underscores the incredible spiritual blindness that Orthodox Christian indoctrination breeds. The plain fact is, Christianity was the result of a sect of Jewish messianic followers of Yeshu the Nazarean breaking away from Torah Judaism. The injection of two thousand years of opinions and interpretations by Christian thinkers and theologians has created a religion that is devoid of any honest and original root. If the admin of this site has a Jewish mother, I pray that he will someday find mercy and a place of t’shuva (repentance) so that he can truly reconnect with HKB’H. If he does not, and is a fake, then I can only echo the words of G-d: blessed are those who bless, cursed are those that curse. Now see how much of a Jewish racist you are? What if I only had a Jewish father as Jesse the son of Boaz had who begat the prophet & King David? It is the OLD & NEW Testament explained verse by verse. To refer to our Lord Jesus Christ / Yeshuah H’Moshiach as Yeshu (may his name be blotted out) on a Christian website is the absolute height of spiritual blindness, Talmudic indoctrination and religious bigotry. Your brothers are running around saying they are open and accept other points of view. Is this authentic? I have a question for you, the old books spoke of a savior. What was/is he to be like? Good? Evil? Alas: He has already come, and His name is Jesus. He was humble. And so was Moses, who you accept (but don’t follow). He was the perfect man, full of grace and honorability. The point of existence is not to receive, but give. We say God is great. And God gives all. Current Judea looks to receive only for its erstwhile commendation of God: But God said he would bless thee. He did not say thee would bless Him back. If you do evil, blessing or no blessing, whom are you serving? By the way, your commentary is indeed vile. Honestly. On this note, Jewish religion is not called YHWH-ism, Torah-ism or Talmudism… it’s called Judaism, the worship of Jews! Israel’s extreme contempt for USA reflects this attitude of supremacy. Israel has taught us methods for abusing Arabs, and it gave us a defector’s MIG jet once, but otherwise it has never been an ally. But as our enemy, its list of accomplishments goes on, and on, and on…. Isn’t that what the Talmud and Kabbalah actually accomplish? They are not works of prophecy, as I understand…. Again, isn’t this the Talmud and Kabbalah? If the admin of this site has a Jewish mother, I pray that he will someday find mercy and a place of t’shuva (repentance) so that he can truly reconnect with HKB’H. If he does not, and is a fake, then I can only echo the words of G-d: blessed are those who bless, cursed are those that curse. So why are you cursing? Know why? Because you are BLINDED. Note two things about this prophecy: first, “utterly” means completely and without qualification (and thus beyond remediation); and secondly, while the corruption may have started immediately following Moses’s death, the actual fulfilment of this prophecy of doom for the Jews will take place only in the “latter days,” so there will be no opportunity for a last minute repentance and a regaining of God’s good will in order to establish the Jewish reign over the Universe that you fantasize about. Furthermore Pinchas: It is only by Christian grace and forgiveness that the greater portion of Jews survive, as Judaism does nothing but try to destroy Christianity and all non-Jews regardless of faith. A tip of my hat to Adonis Tate, above, as well. I have also come to the firm conclusion that the end of the Jewish religion as it now is - is self-worship by the Jews. Doing such things as writing “G-d” while accomplishing abominable atrocities of heart, mind and body day-to-day is certainly abominable to God. We should not have roaches, snakes, and rats leading us because their heart is not right, for one, and secondly they cannot see so well. This, I think, is the practical/tactical message Brother Nathaniel is trying to get across. Yes you openly admit, without realising that those who broke away from your Talmudic “Torah Judaism” were godly inspired men, starting with the Son of God himself. Judaism was no longer pure Judaism it was an adultered, corrupted Talmudic “Torah-Judaism” which strangled the spirit of the Law of Moses which was based on morals, love and compassion. If your “Terrorist-Torahist” fathers murdered the Prophets, then built them beautiful tombs to honour them, then the least you should be doing is building a beautiful tomb or monument for Christ whom your fathers also murdered and comprehended to be the “heir of God’s vineyard” who they then threw out and murdered. Did they not crucify Him outside the walls of Jerusalem? He is the Divine Word of God. So justifiably you on behalf of your murderous fathers, had no reason to build a tomb/monument for a living man in order to express your guilt and regret about murdering another virtuous prophet. And why not? Did God permit the next generation of your evil fathers to do this? No because they were ablated almost towards total extermination from the face of the Earth by the rage of the Romans. Oh, how deprived and dull you are! The Old Testament and its purpose had been fulfilled in the face of Jesus Christ, whilst the falsehood of your “Terrorist-Torahist” fathers choking the real message were abolished. The temple of Solomon destroyed, the Aaronite priesthood vanished and the Israeli race exterminated and persecuted by the Romans, your “Terrorist-Torahist” fathers and their evil synagogue disbanded and destroyed, and you talk about Christianity was the result of a sect of Jewish messianic followers of Yeshu the Nazarean breaking away from Torah Judaism? I have pity for your “Terrorist-Torahist” fathers, because they perceived that their livelihood and influence was threatened by the Prophets and Jesus Christ himself and so murdered, persecuted and tortured them. Whilst you today follow the same deception, yet have nothing to loose in rejecting your defective “Torah-Judaism” and accepting your true Messiah, the Lord Jesus Christ. And in light of the history and God’s fulfilment and wrath upon the people of Israel who murdered His Son, I think you should be very careful not to bring down the same wrath upon yourself and your family. Keep doing the good work in the midst of these modern day Pharisees. This last weekend I debated in one of the Newhouse Brothers newspapers forums about the hypocrisy of these secular folks who claim to be Jews. I forced him to admit that the Jews owned about half of the slave ships that were used to transport slaves to the United States and other nations. He grudgingly admitted to such, but never did explain why it is the Protestant Whites that should be the only people to have their rights limited today by government mandate in order to supposedly help the descendants of slaves. I told him also that more than 4000 of the slave owners in the United States were upper class Africans. He still didn’t budge from the idea that the whole blame for slavery must be on Protestant Christians only. I called the secular Jew I was debating with every foul word I could because of his hypocrisy. They will stop at nothing in order to destroy Christians and take control over the nations of the world. Then I made this man admit that he also sins against God, and I asked him why he shouldn’t be made to pay for his sins, given his stance on slavery. He finally admitted that nobody should have to pay for the sins of their fathers. I just laughed and thought, so then you have no reason to attack Protestant Christians any longer. He just made me so mad, because justice is perverted in the eyes of these fake Jews. I see that Pinchas Eliyahu is using the Lord’s name in vain…..rather loosely. If I’m not mistaken, isn’t the term “Yeshu” associated with the Hebrew word “curse”, or in some in that effect? (Eliyahu, you chump, you even spelled it with a capital “Y”). I thought this guy is demonstrating to this website that he’s dispelling the “false image” of a Jew, brought about the misconception by *ahem* Gentiles? Or maybe you’re just being a “good Jew”? I stand corrected. Eliyahu has just “punked” himself and has shown how foul-mouthed and ill-informed Torah Jews and Talmud Jews are nowadays. Then that would mean, this dude is an Anti-Semite, by technicality and nature. You might rebutt but let’s slap the facts in your own black-&-white, shall we? * You acknowledged the fact that “Yeshu-WA” is a Nazarene ( I need to add WA because HE IS MY LORD & SAVIOR ). -WOW!!! I thought, what IRONY…..Yeshuwa was called out from Egypt….lucky chance? NAH!!! right place, right time? SURE YEAH!!! Let’s leave it to two. for now. And another thing, what’s with the G-d thing? Last time I check, when you’re using English as a medium of communication, you gotta spell the name right (or do Jewish keyboard/keypads have defective vowel keys?). Aren’t Jews “proud” that GOD has chosen them to be HIS peeps? Why don’t they shout HIS name on the rooftops and proclaim HIS infinite love? GOD’S LOVE FOR ALL MANKIND!!! not elite jews that think they are the masters of all the living. Why don’t you smoke that in your turtledove sacrifice in Yom Kippur. It’s always worth quoting and citing interesting reading material in proper context and without getting lost in footnotes. We are certainly very guilty of briefly outlining material with every good intention of going back over more thoroughly. It is a sin to collect a compost heap of good intentions. Barring articles translated from Hebrew, various Soncino tractates and the relatively more accessible words of the Jewish community press (like the Jewish Digest), your own life experiences would be an invaluable source. It is our opinion that there are actually intriguing parallels between Japanese tribalism and Jewish tribalism (obviously developing independently and confirming that there’s nothing special or divine about Jewishness), and this is the angle we hope to exploit more in the future. But it does point up an easy remedy to brainless accusations of anti-Semitism and the real danger of lack of focus which that threatens, and that remedy is to compare to other cultures. Go to the end of the article and click on the FOR MORE SEE: “Satanic Verses Of The Jewish Talmud” AND: “Kill Civilians? The Talmud Tells Me So” etc. This website is focusing a debate and discussion that is certainly in play across the globe. In Australia, the land of the long-weekend, where the national religion is football - the rabbis are currently caterwauling about the July 18, 08 event called World Youth Day. Sydney will host the Catholic youth of the world for this gathering. In deference to the type of religious bigotry being championed by Pinchas Eliyahu and challenged on this thread - it looks like the WYD organizers have created a public Stations of the Cross event that is both kosher and ecumenical. Vic Alhadeff - director of the NSW Jewish Board of Deputies - is caterwauling about anti-Jewish pogroms (in Australia!) should WYD permit the third station where Jesus is condemned by the Sanhedrin. That is scary. I was once a proud participant of WYD 92 in Manila, Philippines. It was at the Quirino Grandstand…..a sea of people, multiple cultures, myriad of nationality, but one faith, one humanity that is shared…. What in the hell are these Jews ruining it for? Aren’t they humans that eat and use the toilet? We never complained to their Hannukahs and menorahs and everytime they take their Chabads on Fridays to not work until Saturday, wherein they hav to call a co-worker to cover their spot….we never complained how “lazy” they are and when we do, they call us Anti-Semite. Nor did Christians push the early persecutions of the Church since 33 AD. In fact, Pope John Paul II apologized on behalf of the Catholic Community for the sins that we shouldn’t have apologized for. Now here’s WYD in Australia and those Jews are shaking in their tassels because their worried about a scene that seems to them…..Anti-Semite…..HAHAHAHAHAHA!!!!!! How pathetic. They should go back and sip borstch and munch on challa. After they had their meal, pray that they don’t transform into “cockroaches” and spy on WYD grounds…..we know what happens when they try to ever set foot. They get the FOOT indeed. Perhaps the Jewish people did not accept Jesus as their Messiah because he was very simple, very humble, and not proud. Pride is a sin and Jesus knew this. Perhaps they were expecting someone who looked like a King and acted like a King. Instead, he performed many miracles and still does today, and yet he remained humbled. Jesus said himself that he came to fulfill the law, not abolish it. The Old and New Testaments are very old history books that some have a difficult time accepting; however, why is it no one has a problem accepting the fact, again through history books, that George Washington was the first President of the United States? Because we all read it. But to read the history book of the New Testament seems to offend many people. Jesus was prophesied in the Old Testament. Is it that difficult to believe? If so, then why? Brilliant, Brother Nathan. Simply brilliant. Its a Club. You pay dues. There is a hierarchy. You kiss hands get loot. People outside of the club are cattle. Do what you feel like it. People inside, hey, Kol Needreh! Knowing many Jewish people in my lifetime, I can say this much: Most don’t know a thing about the Torah. Why is it that HIS name and WORD has lived on for 2,000 years? Obviously, there must be “some” power of some sorts, don’t ya think? It’s called His divine intervention in all matters. I would dare that everyone who doesn’t believe just try for once praying in “HIS” name. I dare you! Faith is a Gift from God. Remember to pray for the Jews. Love for humanity demands a response from Christians: It demands humility and compassion for the spiritually blind. I know that many Jews find the term, “spiritually blind” offensive. But one must be able to idenify the disease, before one can accept the cure. Adherents to Judaism are welcome to give an explanation to the rest of us non-Jews why is it that they must give blind allegience, en masse, to rejecting Jesus Who Is, in fact and in Religious/Spiritual Truth - GOD INCARNATE Himself. Every year, for over the past 1,700 plus years per historical eye-witness accounts since that far back in time, year in and year out WITHOUT fail, the Divine Miracle of ‘The Holy Fire’ occurs over the burial tomb of Jesus - YHWH’s Own Way of Personally Confirming the Validity of the Identity and Divine Nature of Jesus of Nazareth, Who was born of a Virgin in the village of Bethlehem, thus fulfilling the Messianic Prophecies of the Prophets. Next question which entirely puzzles us who are not adherents to and of Judaism regards Jesus’ Mother’s own Transfigured appearance over a Coptic Orthodox CHRISTIAN Church in Zeitun, Egypt back in the years of 1968-70 Anno Domini (the Year of Our Lord) and non of this ‘Before COMMON Era’ politically correct non-sense. Next, the Jews of Jesus’ time rejected His Divine Teachings to them that He would give them His Body and His Blood as Divine Bread from Heaven so that they might have Eternal Life. Now then, do we suppose we can stop this stupid silliness of the mystical misguidance and misdirection of the Kabbalah and get on with the human race’s spiritual submission and obedience to Jesus’ Own Holy, Eternal and Divine Spirit? God did NOT give any man, any woman, any child of ANY race of peoples - to include those who derive their racial heritage from the Hebrews - His Divine Permission to harbor, nuture, develop SCORN or CONTEMPT for their fellow man. Period. God did NOT give the Isreali Knesset His Divine Permission to pour forth their individual and collective SCORN and CONTEMPT against the Semitic Palestinian peoples! God did NOT give the US President, the US Senate, the US Congress, the US Supreme Court, the entire military might of the US Armed Forces to level SCORN and CONTEMPT against any and all peoples of the nation states of our world. God did NOT give the Russian Duma nor the Chinese People’s Liberation Army, China’s Party Bosses, the UK’s Kings and Queens, the UK’s Parliment, the Governments of ANY European, African, Asian or North, Central or South American nation His Divine Permission to harbor and make manifest mere human CONTEMPT and SCORN for human beings anywheres in this ‘World’ - within their own Nation/State or in ANY OTHER Nation/State! God did NOT give the the Privately Owned International Banks and Financial Institutions throughout our ‘World’ His Divine Permission to make manifest their CONTEMPT and SCORN for any and all human beings all across the continents of this planet earth of His Creating! Nor did God give His Divine Permission for any privately and legally incoporated ‘pastor’ and his/her/their ‘church’ or ‘religious organization’ with their I.R.S. Tax-Exempt certificate to CHANGE, ALTER, MISREPRESENT His Own Divine Teachings regarding His Own Divine Revelation and His Own Divine Sacraments and His Own Apostle’s Faith! Our entire ‘world’ - Jews as well as Gentiles - we ALL stand Guilty of overt disregard of all that God has Revealed to us all and all that God has done for us all through these past 20 centuries of our planet earth’s human history. Every last human being alive today, Jew or Gentile, pagan or religious, atheistic pragmatic materialist or gnosticized esoteric spiritualist - ALL OF US ‘Stand Guilty’ with either the blood of another human being on our hands, with having turned our backs on TRUTH and our Divine Mandate to have CHARITY/CARE/CONCERN to our fellow human beings, or having utterly discarded and rejected God the Father’s Only Eternally Begotten Son’s Direct Divine Revelation to all of mankind - Jew or Gentile. Our contemporary ‘world’ and ALL of its human societal organizations of mere fleeting human convention - nations, governments, civic and social institutions, economic and financial institutions, media outlets, academics and intellectuals, scientists, political parties, idealogues, demagogues - everything and anything standing or in existance due to the workings of the thoughts of men and woman all over the world - are all GUILTY of Violating God’s Will and Violating God’s Own All-Good Personal Divine Nature, Character and Dignity! Let the Nations of the Peoples of our contemporary ‘World’ ALL put on ’sackcloth and ashes’. Let all the Nations of the Peoples of our contemporary ‘World’ assemble together with their Leaders, Leading ‘Citizens’, their Governments, their ‘Elite Rulers’ - and let them ALL make a Public Demonstration of their SORROW for their utterly lack of Love/Concern for each other, their fellow man, their very own nation’s citizens/peoples - all of them, 6 billion of them, crying out to THE LORD of Heaven and of the Earth for His Forgiveness, for His Divine Mercy - for His Own Divine Help and Supernatural Aid in order TO PREVENT our contemporary human race from having to undergo/endure their self-imposed Death Sentence of being thrown into the Pit of Suffering and Abject Destruction and Desolation of yet another WORLD WAR! You readers - whether ’still’ adherents of Judiasm, whether ’still’ Gnostics, Athetists, Deists, Theists, whether ’still’ adherents of any or no particular cult, sect or man-made ‘denomination’ - go away quietly and in private - PLEAD with the Unseen Lord of Heaven and earth for His Divine FORGIVENESS and for His Divine MERCY upon yourselves, your ‘enemies’ and for any and all other members of our contemporary ‘World’s’ human race! I appologize for coming late to this party, but am I correct in gleaning from your articles that the Church according to God is to reap all of the spoken benefits of Scripture and Israel is odd man out? It is Blasphemy that the Jews call their nation Israel which it is not. It should be called Judea as it was in the Bible. God scattered the nation of Israel (10 tribes), they would be a forgotten peoples as states in the Bible. Get your Bible and start reading about David, Solomon and the splitting of the tribes. After reading about 80% or so, it’s getting a bit late here in Beautiful Sunny Aussieland (during the daytime of course). The remnant will return to Christ in the latter days I think especially when the 2 prophets return (2 witnesses as I think their called) and will warn them of the false messiah (anti-christ) which they are so waiting for to be their world ruler. (They have too many rulers now and want to shortlist to one for efficiency it seems. Too many anti-christs makes for more difference of opinion and confusion when it comes to running Bilderbergers, Freemasons, Jehovah’s, and the other myriad of open societies, half secret societies and fully franked dividend secret societies). I call myself an Orthodox Christian and I find one of our greatest battles in life is sin. It’s so hard at times resisting judging others. I find that although it is good to show others the right way and good to say the right things, it is hard sometimes to lead by example and I think this is the best way to put Orthodoxy on show to others although if your writing text as I am here you obviously can only say what you think I guess. These 2 ancient prophets of the Old Testament when they reappear will make the remnant convert and realise not to follow the Deceiver and also to strengthen the flock for the difficult times of the beasts rise to power. And also I think as a witness to the world not to follow the beast for they were warned. Br Nathanael, I would like your response to my comments please if you want to or anyone else who may have a comment. God has indeed opened your eyes and called you to be a witness to Christ for the Jews, as St. Paul was called. The Roman Catholic Church has had its share of human evils and errors but remains in its essence the Church that Jesus founded and made Peter its head. The Jews of today are the followers of the Pharisees and Saducees of Christ’s time and the day will come when their eyes will be opened to Christ, the Messiah, and I believe you are a vanguard in this process. God bless you and your works. Here in the great state of Misery, the MO BAR HQ is located right next to the only synagogue in town. The land was given to the BAR has a gift from the Jewish People. Disband the BAR and take back the Courts you break the back of the Zionist.. Comments by Jewish Supremacists like Pinchas show me how there is simply no end in sight to Jewish projection. I say look for the truth in exactly the opposite of what they say. Hello all, may I post this link? There is something everybody can do about the new world order, no matter who you are. Opinions presented in this publication are the private Author’s opinions and do not present the official European Parliament position. What I am going to present below is based on the teaching of Feliks Koneczny, a Polish historian and philosopher, who developed his own school of thinking on civilisational differences. He lived from 1862 to 1949. Until 1929, he was a professor of history but it is primarily during his retirement years that he produced his most important historiosophical works. Almost all of his writings were in Polish and until now, only On the Plurality of Civilisations (Polonica Publications: London 1962) has been published in English. This book has a lengthy introduction by Prof. Anton Hilckman from Mainz University, Germany, a former student of Koneczny, who explains Koneczny’s scientific method. The book also contains a preface by Arnold Toynbee. It is Arnold Toynbee and Oswald Spengler that Koneczny should be compared with. He belongs to their class of thinkers. Toynbee and Spengler are well known to students of civilisations. Koneczny is not, yet it is Koneczny who developed a truly new approach to the issue of classifying civilisations and is deserving of universal acclaim. In order to understand what I shall present, some prior definitions are needed. Following Koneczny, I shall be using the term “civilisation” to mean the major division of humanity. The word “culture” will be reserved for smaller divisions within civilisations. These two words are often used interchangeably. Here, they will be used hierarchically. Thus, within the Latin civilisation, there are such cultures as British, Spanish, Polish and others. Within the Jewish one, we can find the Sephardic, the Hassidim, the Karaim and other cultures. This is nothing more than a convention that will be used here for the purposes at hand. Civilisation is a product of the human spirit. It is defined by the norms of communal life that a given community accepts as proper for its functioning. These norms are often transgressed because we have a fallen nature but nonetheless they do exist and it is the identification of these norms that is the purpose of the study of civilisations. Civilisation then, pertains to the norms according to which a society is organised. It is the method of organising communal life. Culture is a way of adapting this method to a specific community of people. In such a community, both a university professor and an illiterate person belong to the same civilisation and culture. The ability to use technical innovations such as cars, telephones and computers has nothing to do with civilisation in the sense used here. Communal life can be organised either for the human person or for the society (collective). It is an essential element of a personalistic organisation that the family be emancipated from the clan. Solutions can be sought from experience, inductively, or from some theory that is adopted a priori. Taking experience into consideration requires knowledge of the past and respect for it. Those making a priori decisions are not interested in facts and demand uniformity. Relying on the experience of the past leads to the tolerance of diversity. Unity based on diversity produces an organism that is capable of self-repair, by corrections from below. Uniformity, commanded by a priori notions, leads to a mechanism and a life regulated from above, which can only be corrected from above. Organisms form inductively, historically, from the natural development of relations. They create both private and public laws. Planned organisations can only create mechanisms, based on a single type of law, private or public, but not on both. This leads to totalitarianism, whereas local self-government stems from tolerance of diversity. The last two are difficult to place in the chronological sequence, so they are shown separately. One could perhaps argue that there are a few more, or that some could be considered only cultures of other civilisations. Koneczny was aware that further studies will no doubt modify the list as scientific effort always does. But in any case, the list is short. Those civilisations shown with an asterisk exist today. The others have disappeared. We know about them only from historical evidence. Of the existing nine, the Turanian, Byzantine, Latin and Arab arose in historical times we can more or less define. The others were present in remote history - they appear ageless. All nine civilisations can be studied on the basis of existing communities. Koneczny studied the Latin, Jewish, Byzantine and Turanian civilisations in detail, since they exist in or near Poland. Thus, in the following text, I shall concentrate on these four, however I shall also try to collect the few words Koneczny wrote about the Arab civilisation, since it is of particular interest to Western Europe today. Poland has been a part of the Latin civilisation for over a thousand years. This civilisation developed on the basis of antique Rome but under the influence of the ethic of the Catholic Church. The Catholic Church functions in many civilisations and in each of them it brings up the societies towards certain civilisational notions. Adoption of Catholicism does not immediately amount to the adoption of the Latin civilisation. Only in the case of sacral civilisations (e.g. Brahmin or Jewish) does conversion to Catholicism automatically mean that the convert has to abandon not only his previous religion but also the civilisation built on it. That is why it is so difficult. In other civilisations inculturation follows. Inculturation is the adoption into the Catholic faith of all that in the existing civilisation is adaptable and the rejection of only that which is inadaptable. Adoption of the Latin civilisation is not necessary. However Poland on rejecting paganism in A.D. 966 went head on into adopting the Latin civilisation. It quickly became a part of the West, an inheritor of Rome, both antique and Christian. In the Latin civilisation, ethics is the source for laws. As a consequence, a development of morality ensues. The Decalogue gave prohibitions, defined sin and terrified with God’s wrath. The Sermon on the Mount gave instructions, defined virtues, appealed to love God and neighbour. This amounted to an increase of demands and an elevation of the motivation to be good. The Decalogue was not abolished but there was a departure from the letter of the Law and a turning towards the intent of the Lawgiver. In the history of the Latin civilisation we have a constant growth of ethical demands and a continuous perfection of laws based on these growing demands. At an earlier time duels were the norm, considered as a form of God’s judgement. Now they are considered sinful. Slavery was, at times, considered acceptable. Today, we shiver at the very thought of it. There used to be a moral obligation to avenge an injury inflicted on a relative (vendetta). Today applying private justice is considered immoral. Life continues to bring new problems and new definitions of norms from the point of view of ethics are needed (labour walkouts, test-tube babies, progressive taxation, seat-belts in cars). Not everything that is already defined by ethics needs to be written into law. But all new laws must encompass the ethical consideration. Each generation transfers something from ethics into law. However when something considered unethical, already forbidden by law, is decriminalized (abortion, divorce, homosexual practices), this we treat as a regression of law, as a civilisational decline. Only growth in legal demands is permissible. The standard is continually being raised by the saints. What is a heroic virtue in one generation, becomes the ethical norm in another, and finally becomes law. In the Latin civilisation there is legal duality. We have simultaneously private and public laws. The first developed in families and the other in towns, i.e. in unrelated societies. Neither was dominated by the other. Private law functions in family traditions, in various clubs and organisations, in co-operatives, in political parties, in trade unions, in professional guilds, etc. The state does not (should not) interfere in these privately developed and adopted norms, statutes and regulations. On the other hand there are state laws which regulate the relations between peoples, ensuring internal and external security. In the Latin civilisation the relation between rights and freedoms depends on the principle that the freedom of one ends where the right of another begins. The doctrine of Pawel Wlodkowic on the rights of the heathen grew out of this thinking. It grew out of the principle of loving one’s neighbour. It is on this principle that the union of Poland and Lithuania was established. Any union within the Latin civilisation has a chance of lasting only if it follows this principle. In the Latin civilisation, monogamy is obligatory. It is only with monogamy that private ownership is possible. Each marital union is a simultaneous creation of a new economic unit. The newlyweds cease to be part of the economic entity of their parents and become part of the new entity. With polygamy such changes do not take place. The ownership lies with the clan, the community or the patriarch. Christ by elevating marriage to the rank of a Sacrament, by insisting that it be monogamous and indissoluble, at the same time gives economic freedom to the new family. The strength of the Latin civilisation lies in its ability to self-organise, to self- repair, to act from below and to work organically. For this reason, local life is very important, local councils, local elections, co-operatives, own-initiative committees, credit unions and others. When this local life is rich it is possible to reduce the role of the government to a minimum. In the army, in communication infrastructure, in foreign affairs, central directorship, from the above downwards, is essential, but in other fields it is an obstacle. When developing communal life from below inequalities result. They are a consequence of the differences in the way various communities handle their affairs, a consequence of differences in the effort put into solving problems. As a result of seeing these inequalities, there is a tendency to try and catch up with those more successful, who are richer, more educated and better as people. This drive to equalize with the leaders elevates materially, intellectually and spiritually. On the other hand egalitarianism, equality imposed from above, by the government, reduces people to a common denominator at a lower level. It wastes human effort and ingenuity. It reduces the will to improve oneself. Nobody likes to work for others, for those who do not wish to work. Thus acceptance of inequalities is a major feature of the Latin civilisation and a driving force for its development and progress. The Jewish civilisation is one of the oldest on earth. Its durability is not connected with the possession of some state or with the knowledge of any specific language. In some sense, a memory and now solidarity with the Israeli state plays some role, as well as the Hebrew language generally unknown to the majority of the Jewish people (even though they are all literate at least since the 1st century). Until quite recently, it was a dead language and only since the establishment of the modern Israel was it resuscitated as a living language in that state. However, neither the language nor the state is of any great importance in defining this civilisation. Jews often move from one country to another and at the same time, usually very readily, change the language used at home to adapt to the community at large. In the Polish language, we speak of the “Jewish nation” - however this is a completely different phenomenon than a nation in the Latin civilisation. For us a nation means a common past of a flourishing or downtrodden statehood, a common language and literature in this language, as well as a specified place on earth considered as the fatherland. In other European languages, the phenomenon of Jewish togetherness is referred to by some other name than nation, usually as a people (the Jewish people, le peuple juif, Judentum), and this is well justified. They are indeed a people but the cementing element has nothing in common with the national solidarity of European nations. The cementing factor lies in a sacral civilisation and in particular, a sacral consciousness of having a special mission given to them by God. They are conscious of being the elect, the “chosen people”. This mission, of course, was to prepare the world for the coming of the Messiah, Who was to be born among them and to preserve the revealed truth until His coming. They have fulfilled this function. Many of them have recognised Him when He came and brought the Good News, the Gospel, to other peoples. What was a mission of one people, became the mission of the Church. What we consider as the Jewish people today refers to a tragic community, a people that has not recognised the time of its visitation. It is those who did not recognise Jesus Christ as the awaited Messiah. Those Jews who followed Christ merged within the Christian universality. Those who rejected Him became wanderers throughout the world, among believers of other religions, jealously nurturing their chosenness, this messianic consciousness, which gives a defining mark to their civilisation. It is a civilisation of programmed separateness, of programmed differentiation from the surrounding communities. In Judaism there is no specified theology that one could get to know and accept as a convert. One can only get married into Judaism, that is biologically become part of it. Jews do not seek converts. By their own will, they prefer to live a separate life, in apartheid from the surrounding communities. They form their own communes (kahals), they govern themselves by their own rules and they take care to maintain also a spatial separateness. They form the ghettos themselves, as districts in which they live together, comparable to the Chinatowns in the USA. It was only Hitler’s Germany that created the concept of forced separation, of a closed ghetto from which Jews were not allowed to leave. Jews do not represent any specific race. It is a great misunderstanding to consider anti-Semitism as racism. The Jews of Poland are racially indistinguishable from the Poles. The Jews of North Africa are racially close to the Arabs. Ethiopian Jews are close to the Ethiopians. And so it goes the world over. However, the fact that they stick to their own community, their own civilisation, their own separateness, results in biological differences developing. It is not the race that forms the Jewish civilisation but the civilisation can cause a biological separateness. This is never a total separateness because intermarriage occurs frequently but where Jewish communities live for several generations it is sufficient to develop some distinction from the surrounding society. All of this is a consequence of the communal consciousness of being the chosen people. The memory of being chosen by God, of having a special relationship with God, of having a promise directly from God available only to the biological descendants of one people, results in monotheism degenerating into monolatry. The belief in a one and only God changes into a belief in one God, one’s own God, a tribal God. The Prophets have successfully eradicated polytheistic tendencies among the Old Testament Jews. However, monolatry was only dealt with by Jesus Christ who addressed His message to all people and not only to the chosen. In reality, monolatry is a form of polytheism because it accepts the possibility that other people have other gods. Messianism did occur as an idea among other peoples, suddenly reaching the conclusion that they have a special God given role to play. But this seldom lasted for many generations. Jews by nurturing their chosenness have created a whole civilisation based on fidelity to the Law revealed to them by God. By Law they mean the Torah, the Pentateuch of Moses, which of course is also for us a Holy book. However, we read it differently. The Jews see in it the Law, which is immutable and which has to be obeyed. Every letter of it is binding at all times. Jesus Christ has taught us that it is not the letter that is important but the will of the Lawgiver. He did not change the Law but gave it substance. He accused the Pharisees that they serve the Lord with their lips but not with their hearts. He called for the saving of a lamb or ox that fell into a well on a Sabbath (Mt 12:11; Lk 14:5), because the Sabbath is for man and not man for the Sabbath (Mk 2:27). We often tend to laugh at Jewish habits and denigrate them. However, when a pious Jew travels on Saturday on a train sitting on a rubber water bottle he is doing so to remain faithful to his religion, because he is not allowed to travel on a Sabbath except when on water. For him, this is showing obedience to the letter of the Law, a moral imperative. For us, this would amount to hypocrisy, a breach of the intent of the Lawgiver. With the growing complexity of life and a development of the understanding of the intent of the Lawgiver, we adapt rules to what we consider as ethical. For us, the law is derived from ethics. For Jews, the opposite is true. Ethics is derived from the Law. For them, of course, life also requires changes in their habits. For the sake of convenience, they introduce interpretations of the Law, explanations for various circumstances, so as to maintain the letter of the Law but in fact, to find a way of living reasonably. All the learnedness of Judaism (Talmud, Kabala, rabbinic writings) consists of these interpretations of the Law, comments to the interpretations, comments to the comments etc. -a constant casuistry multiplying exceptions to immutable rules. This development is driven by convenience. Outside of Judaism, all this learnedness is valueless. However, the mode in which it develops is often copied and constitutes a spiritual threat. We must change rules when we decide that this is demanded by our understanding of what is and what is not ethical and not because we find them difficult to follow. In the Latin civilisation each generation transfers something from ethics into written laws. The multiplication of laws constantly restricts our freedom. The Jews are restricted only by the Torah and all of the later developed interpretations reduce the obligatory scope of these restrictions. Regrettably also among us, in conflict with our own civilisation, laws appear which make permissible that what is not considered ethical and what was already forbidden by written laws (abortions, divorces, homosexual acts, satanic cults, etc.). In this way, the link between ethics and law gets lost. Convenience rather than ethics becomes the source of laws. In our civilisation, a righteous person living honestly will not get in conflict with the law, even not knowing it. On the other hand, living in agreement with the letter of the law but dishonestly, derives from the pharisaic attachment to rules but not to ethics. The exploitation of rules, of imprecisely written laws, of gaps in them, of their multitude and inconsistencies, activities on the verge of legality, tax evasion techniques, all formally within the law but unethical, derive from the rabbinical casuistry, from the mentality of deriving ethics from the written law. Yet, such a swindler, acting within the law, has in fact no moral respect for any law. He cannot be compared to the Sabbath traveller sitting on a water bottle, who is also using a convenient interpretation of the Law, but he is doing this in order to fulfil the Law and therefore in full respect for it. Since many rules of the Mosaic Law were untenable in the Diaspora (such as the ban on learning the Greek language), interpretations were introduced on the strength of which the fullness of Mosaic Law is obligatory only in the Promised Land, but not outside of it. The Diaspora became a form of escape from the Law. Since ethics is derived from the rules, two ethics developed, one for Palestine and one outside of it. Further multiplication of ethics followed, for various occasions, on various days, towards Jews and non-Jews (gentiles). In this way, situation ethics developed, which for us is something completely alien. We recognise only a total ethic, the same ethic for all occasions. But are we always faithful to this understanding? For example, do we not sometimes treat differently the stealing from a neighbour as compared to the stealing of state property or the lies told to friends as opposed to those told to enemies? Such situational ethics derives from the Jewish civilisation and we should avoid it. We are often impressed by Jewish solidarity, by the way in which they always support each other, by their faithfulness to the Jewish community. We observe that they participate in various battles, being present on both sides. However, after the defeat of one side, the Jews on the winning side make sure that the Jews among the losers do not suffer. After the next conflict, the result may be opposite and the same solidarity will follow. This is a mode of survival they have developed living among the gentiles. We do not have such solidarity. In fact, we accuse ourselves of quarrelsomeness and jealousies. We envy the Jews for their fidelity to each other over and above any conflicts. However, this difference has also a second side to it. We believe that we must support truth, goodness, justice and not a fellow countryman, just because he is a fellow countryman. We must combat evil, lies, whatever we consider, even mistakenly, as improper. That is our understanding of righteousness. We should remain ourselves rather than support what does not deserve supporting. The Jews as a people represent the nations as an example both good and evil. Those that reject the Messiah do so at their peril but remember that the original followers our Lord were Messianic Jews and Gentiles. In fact what we see today are splinters of the catholic church who were no better than the Jewish priesthood of Christ`s day. Remember the endurance of the saints those that guard the commands of God and the belief of Christ. The problem with Judaism, is that Jews will snitch, lie and turn in their brethren, just to collect a buck, even to lie on the Constitution afforded to a defendant. This is reprehensible and despicable. Case in point, I had a federal judge (Edward Korman of eastern district court, Brooklyn, NY) in 10-31-1989, act in cahoots, collateral with a federal prosecutor (Andrew Luger) who withheld/suppressed/lied/doctored evidence, just to get a statistical case (a fellow White Jewish affluent male) in the federal system. They both lied to the Constitution afforded to defendants. And the federal prosecutor (Andrew Luger) did cause to get a feather in his cap, and career moves on my head. May God keep you sanctified unto every good work. It is worthy noting that what I learn here has been conveniently left out in the history books/curriculum in my country for very obvious reasons. Is there a number that I may call you at so that I may ask you a couple of questions. I am Orthodox Christian and have someone very close to me who is a monk at St Anthony’s Monastery in Arizona. If so please provide me with a number and if not I will proved you with my number. Thank you, God bless.